The beach fishing has improved in the past week, with good numbers of flathead and whiting. As the water begins to cool, these will come on the chew more and more. It's good to see the first run of herring moving into Edgecumbe Bay. As long as the bait hangs around, inshore pelagic fishing should improve, with good numbers of school mackerel already moving in. 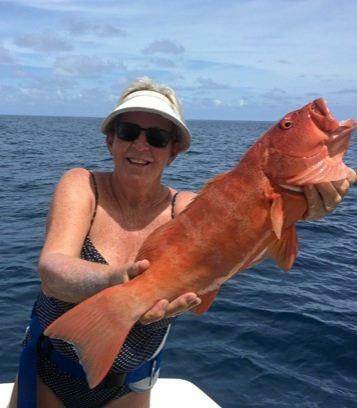 The inshore reefs are producing good numbers of coral trout. A lot of the fish are right up in the shallows. 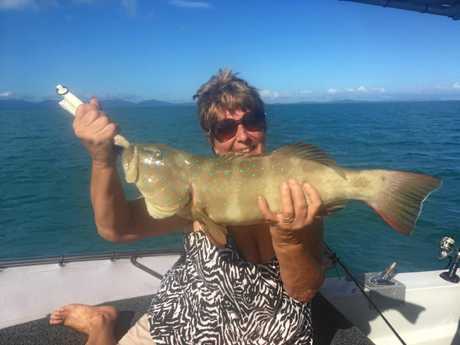 Coral trout and large grassy sweetlip have been in good number and size around all islands, with good catches when fishing eight to 15m of water around the fringing reef. This week the tides get a lot bigger, which will make it harder to find a coral trout. 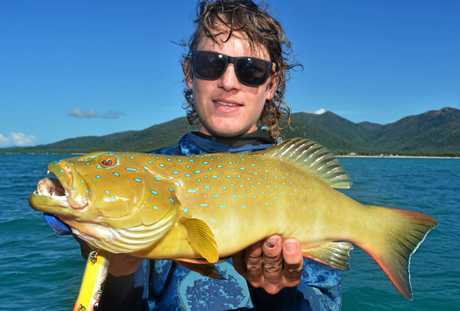 To target coral trout in large tides, cast lures in shallows and fish in the bays. Getting out of the main run of the tide is the best place to have a baitfish for coral trout and sweetlip. The tides around the islands are ideal for chasing giant trevally and queenfish by flicking poppers and stick baits around the headlands while the tides runs at their fastest, fishing the pressure points and back eddies. The deeper holes and channels have great-size fingermark on the chew and the odd jewfish. Sailfish and black marlin are still here in good numbers. 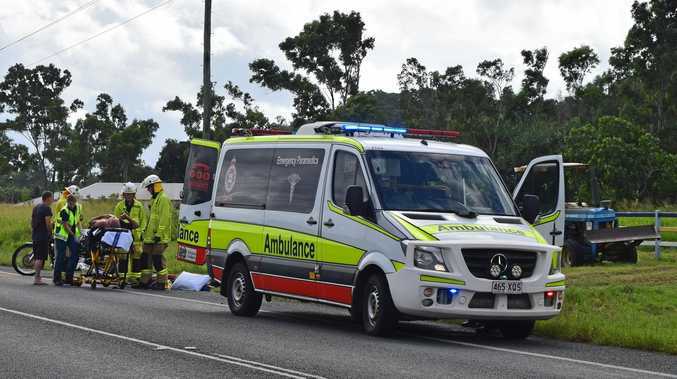 The Proserpine River has fired up with good reports of king salmon and barra, with the best coming from the mouth of the river and around Flying Fox Island. The tides in Proserpine River this week should get some crabs moving around. The smaller creeks across the area will fish well, with larger tides getting the mangrove jack chewing, and some barramundi. Thompson Creek and Billy Creek would be the pick this week to target mangrove jack and barramundi. 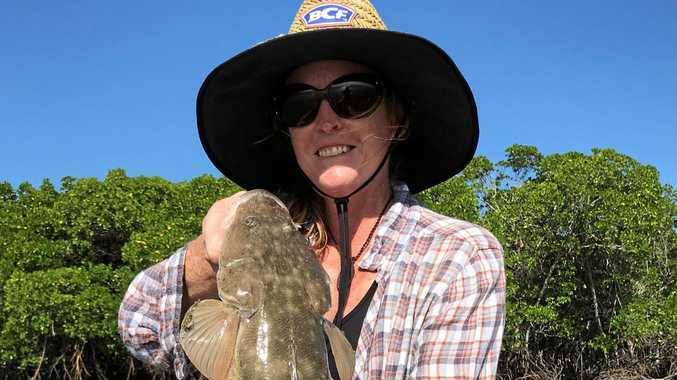 Reports from Repulse Bay have been good also, with some nice barramundi and mangrove jack being caught in Repulse Creek and mud crabs in the smaller creeks and Proserpine River. 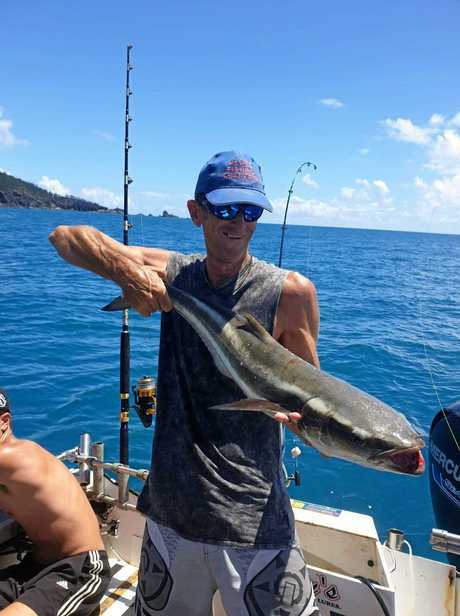 Cannonvale Beach is still having a good run of whiting and flathead on the incoming tide, with anglers using peeled prawns and soft plastics catching good-size flathead and whiting. Whisper Bay boat ramp rock wall has been fishing well, with reports of good- size barramundi and grunter caught in the late afternoon, with the incoming tide being the best time to have a go. Port of Airlie rock wall has had a few barramundi and mangrove jack. Reports have been best using live mullet and herring with the odd fish caught on lures. Shute Harbour wharf has bait around it and some anglers have hooked great-size trevally in the early morning. 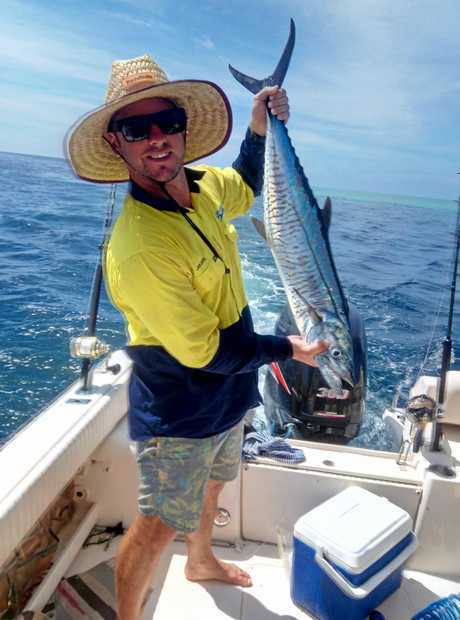 Queenfish have also been reported down there hitting baitfish, while a few anglers have caught nice trout in the middle of the day with half pilchards.